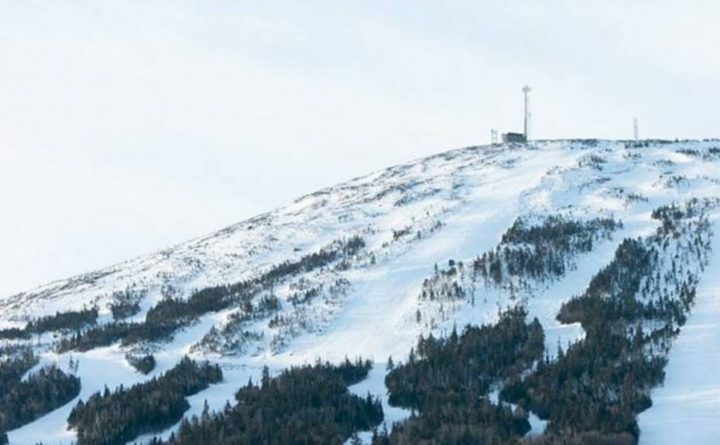 The communications tower is seen at a distance in this file photo of Sugarloaf Mountain. Strong winds in northern New England are being blamed for toppling a communications tower and for another tractor-trailer crash. “At this time, TDS officials are working a coordinated effort to assess impacts and contact carriers who license facilities on the tower,” the company statement read, in part, noting that wind conditions may continue to prevent company representatives from safely accessing the site until Wednesday. Check out what the winds did to the communications tower on top of Sugarloaf Mountain today.The anemometer broke before the max wind gust was reached, but it was likely in excess of 100 MPH. Utility workers are still mopping up scattered power outages on a second day of windy weather. The National Weather Service forecasts winds up to 50 mph. The wind also was blamed for snowdrifts that caused two tractor-trailers to collide Tuesday morning on I-95 near Medway. On Monday, there were gusts of 61 mph in Portsmouth, New Hampshire, and 53 mph in Portland, Maine. And New Hampshire’s Mount Washington recorded a gust of 171 mph, an all-time peak for February.